The Whiskey Poets is the brainchild of award-winning author R J Ellory. Not surprisingly, some of the songs on the band’s debut album ‘Low Country’ are story-songs, in fact a few inspired by themes from some of his novels. 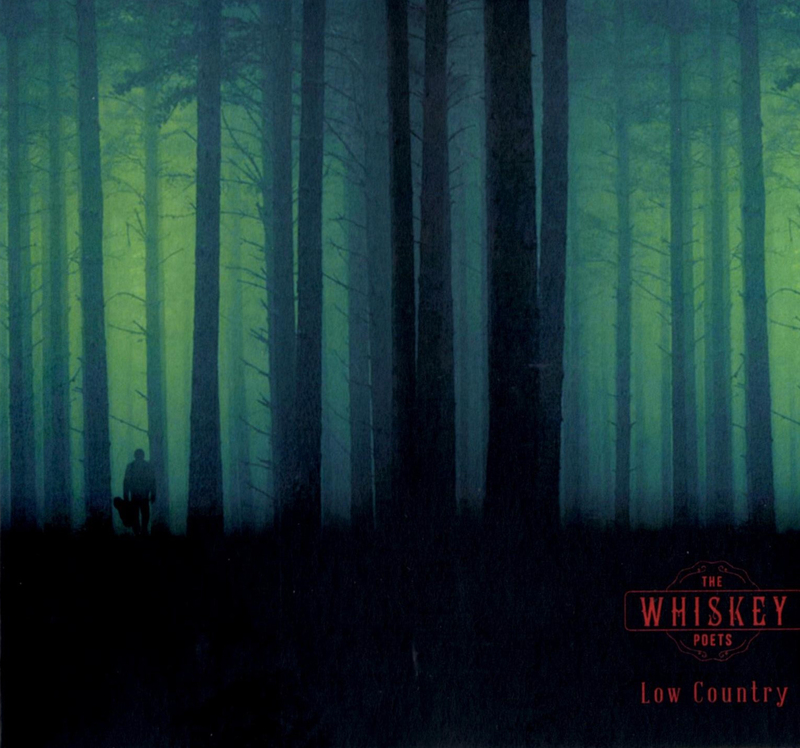 After seeing The Whiskey Poets live and then hearing the album, I was pleasantly surprised. The live set tended to overpower the vocals and melodies and yet these are undoubtedly a key to the charm of the album. That’s not to minimise the actual music, which is marvellous, the musicians as tight as a drum. Roger formed The Whiskey Poets with Martin Smith (formerly of ELO) in late 2014, penned the lyrics and co-wrote the music. The songs are well crafted and have a sort of country/pop feel, with the odd bit of rock thrown in. Listening to the album I found that the songs stayed with me, they are pretty catchy. I found myself whistling or singing one or two well after the album was heard – I think the modern term is ‘earworm’. This happened with three tracks in particular; the opener ‘Back to Blue’, a soulful, gentle song about a troubled relationship; ‘Ghost of my Religion’ with its rock riff that morphs into some gorgeous major seventh chords in the middle eight and ‘Some People’, one of the more obvious country-influenced songs with a surprising pop feel, complete with female backing vocals and Oooo-la-la-las. It’s all about those types of people it is best not to have anything to do with. The second album is being worked on now, to be titled ‘Native Strangers’, and Roger and Martin have been commissioned by Universal to write an album of instrumentals and songs for use in film and television. This band has a destiny, I feel. Damian is a phenomenon. A sort of heavy metal troubadour with a warm, gentle touch. A prolific musician, he is well known in the progressive rock world, having sung and played with many musical projects, such as the prog metal bands Headspace and Threshold, as well as with Rick Wakeman’s English Rock Ensemble, clocking up credits on over 70 separate albums. 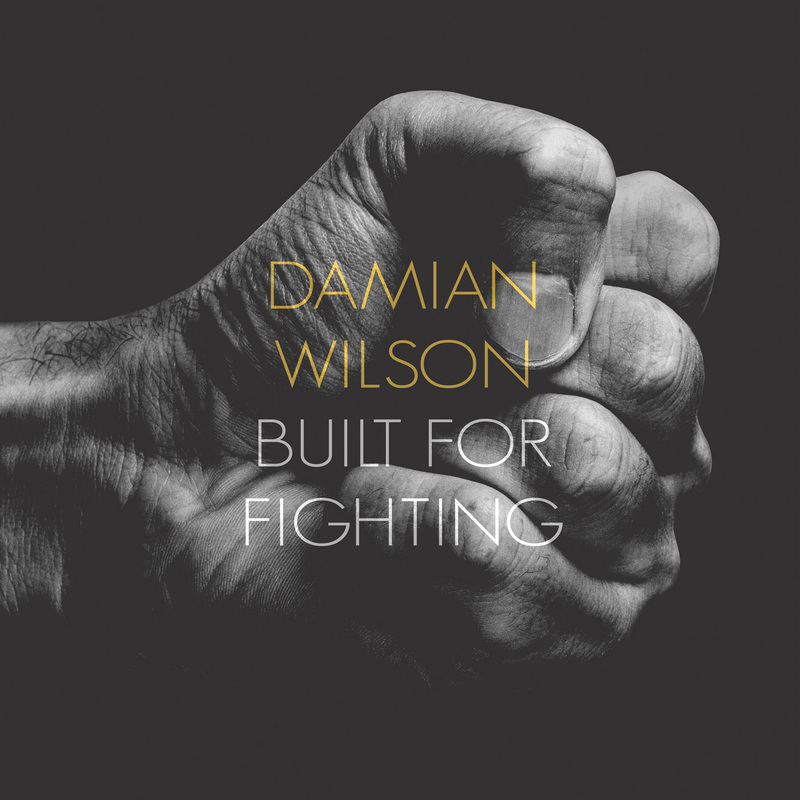 ‘Built for Fighting’ is his fourth release as solo singer/songwriter. Damian is the thinking man’s songwriter and a classy musician. ‘Built for Fighting’ is a superb album. Long may he run! Kent based Matt, Lou and Abi Orfila have released their second album, Never Slowin’ Down, and seemed to have discovered their true sound – UK country with a touch of Nashville. In fact, if you didn’t know the band, you’d be hard pressed to tell they were British. Each of the ten tracks is very professionally produced, giving the whole album a rich and sunny feel. All the songs are written by the trio and they have rounded up a superb bunch of musicians to augment their sound. The siblings’ gorgeous three-part harmonies meld seamlessly with the banjos, fiddles, harmonicas and pedal steel guitars that show up on most of the tracks. Another aspect of the album which intrigued me was the lyrics. From the rockin’ first track ‘Floor it’ onwards, the band seem to have managed to match country type lyrics to the country feel of the music. Being British that’s quite a feat. They have either been brought up listening to country music or spent a long time in Nashville. Either way they have managed to perfectly marry the lyrics with the music. Orfilla have already tasted some success, having worked with major artists, had lots of radio play, played the main stage at the Gibraltar Music Festival and reached the top 10 in the UK Country Charts with ‘It Would Be You’ (a very catchy tune from the album). Overall the blend of the lyrics with marvellous harmonies, fine tunes and excellent musicianship make this a second album to be proud of. 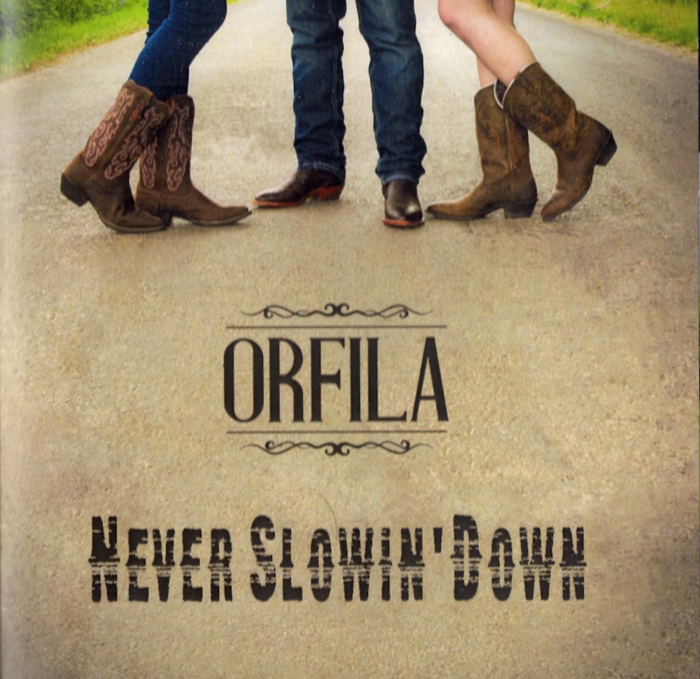 Orfila it seems, true to their word, are never slowin’ down. 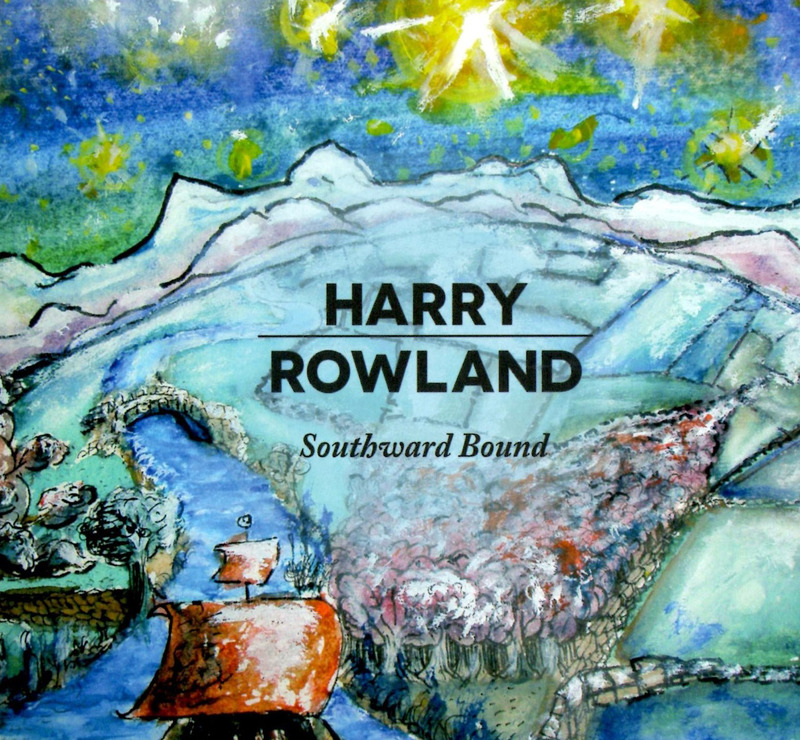 Sadly, we may not be hearing the talent of Harry Rowland any more. While his songs echo an influence of the enigmatic and tragically deceased Nick Drake, we thankfully aren’t losing Harry to the grim reaper, he’s just moving to New Zealand. Our loss is their gain. ‘Southward Bound’ is just Harry and his soulful voice along with his acoustic guitar, but he plays with fabulous dexterity and his songs are personal and captivating. Besides the aforementioned Nick Drake, comparisons could also be drawn with early Paul Simon, Bert Jansch, John Renbourn or Michael Chapman. I had the pleasure of seeing Harry perform the track ‘Take Care’ recently. It’s an emotional missive to his brother, who was setting off to a probable war. It highlights all that’s marvellous about his music; superb guitar work with lyrics that touch you, sung from the heart. I so hope Harry continues pursuing his musical creativity on the other side of the world. Talent like his should be much more exposed and celebrated.